A red coat to brighten up the first outfit of november :). I admit red is a color I don't often wear but anytime I do I end up for falling in love with this color. It all started with my brand new OPI nail polish...I like it so much, it's a cherry red color I advice any nail polish lover to buy, the name is "an affair in red square". I couldn't wait to wear that dress from Mina UK, it's lovely cause I am a sucker for asymmetry, ruffles and lace and this one has a shoulder to waist asymmetrical winding ruffle !. And yes, I got another pair of Litas in grey suede...If buying the same things in more colors is a crime I plead guilty !. What about you...Are you also a serial buyer ?. Often I end up having more sweaters of different colors, same shoes with different colors !. Example of this is that the Gucci scarf you see on the first pic is owned by me in three colors, black, dark grey and grey, LOL. I admit my serial shopper dream is having a closet full with different colors Balenciaga bags...maybe one day ! ;-). Un cappotto rosso per illuminare il primo outfit di novembre :). Ammetto di non indossare spesso abiti di colore rosso ma ogni volta che lo faccio finisco per innamorarmi di questo colore. E' iniziato tutto quando ho provato il mio nuovissimo smalto della OPI...mi piace tanto, è una sorta di rosso ciliegia metallico e lo consiglio ad ogni amante delle unghie laccate, il nome è "an affair in red square". Non vedevo l'ora di indossare questo abitino di Mina UK, lo trovo adorabile in quanto mi piacciono molto i ricci, l'effetto pizzo e le asimmetrie...e questo abito ha un riccio che va dal punto vita fino alla spalla !. Inoltre...ebbene sì, ho un altro paio di Lita in grigio scamosciato...Se comprare lo stesso articolo in colori diversi fosse un crimine, ammetto la mia colpevolezza !. E voi ? Siete - come me - serial shopper ?. Spesso finisco per avere maglie uguali ma di diversi colori, scarpe di uguale modello ma colori diversi !. Un esempio è la sciarpa Gucci che vedete nella prima foto, la possiedo in tre colori...nero, grigio scuro e grigio chiaro, LOL !. Ammetto che il mio sogno di serial shopper sarebbe avere un armadio pieno di borse Balenciaga di diversi colori...forse, un giorno ! ;-). Nail polish: OPI "An affair in red square"
This is my new Iphone case, looks like a tape from the 80s...I love it ! Questa è la mia nuova custodia per Iphone, sembra una musicassetta anni 80...la amo ! Cookies of the day is about online shopping. I've been using it more and more lately and I think it's easier to find cute clothes and accessories, plus very often it's more convenient compared to traditional shopping. I love getting new parcels in the mail !. I've been using Asos like many of you, Zalando is also a great web shop but also wanna experiment new online shops, do you have any to suggest me ?. I would also thank you so much all of you for your comments, I will visit your blogs with a bit of time, I dedicate part of my spare time to my blog when I am not working :) Also I would like to ask to new followers to let me know you are following my blog by writing a comment and also use the Google Friend Connect box on the right, I found out on many blogs the upper bar with the "follow" button is not working properly ;). Thanks so much and...I wish you a lovely weekend !. Il cookies of the day è a proposito dello shopping online. Lo sto usando sempre più e credo sia facile in questo modo trovare abiti e accessori un po' originali e molto carini, inoltre spesso è anche più conveniente economicamente rispetto allo shopping tradizionale. Amo ricevere nuovi pacchetti con la posta !. Ho adoperato Asos come sicuramente molti di voi, Zalando è anche un ottimo web shop ma vorrei scoprirne altri, ne avete qualcuno da suggerirmi ?. Vorrei anche ringraziarvi per tutti i vostri commenti, visiterò tutti i vostri blog con un po' di tempo, dedico al blog parte del mio tempo libero dal lavoro :). Vorrei anche chiedere ai nuovi followers di farmi sapere se seguono il blog con un commento e di usare il box di Google Friend Connect sulla destra, ho scoperto che spesso la scritta "Segui" sulla top bar non funziona come potrebbe sembrare ;). Grazie e...Vi auguro uno splendido weekend !. lovely outfit! this dress looks very cute! In love with your coat and necklace! I love red and I have a red coat too! Yours is so nice! And I really like that dress! Kisses and have a good weekend! molto bello il cappotto! ke forte la custodia a cassetta! Love the look! The red coat gives it a new touch! You look fab in this dress! Suits you so much! Hi Vale, I´m in love with the coat and the necklace. I´ve been buying online on Topshop mostly. It´s a littl more expensive as I´m a student and don´t have much spare money but the pieces I buy from there are usually originals that nobody else around me has so very happy with that. red appreciated you a lot, looks great! You are very elegant. Love that coat of yours, absolutely fab ! Ahh!! What a wonderful outfit to start November. I love that iPhone case. How neat. WOW già solo per le scarpe ;D bel look! Amo la nuova custodia iphone, è nella lista dei miei prossimi acquisti! another lovely outfit! love the red coat, you wear it well! I love the richness of that red. Se vuoi le Balenciaga in serie ce le compriamo in società XD Bellissimo l'iphone case, è uno di quei design che ti fanno girare la testa per strada. you look amazing! :) love your coat! Ciao bella!! !I have been following your posts but no time to comment. Today I wanted to say that you always look so CHIC and nice, and that you have very quality bags, coats, etc!! Very elegant style my dear! You should wear red more often :) It looks great on you! Lovely coat, the bag is very elegant. I like this look. Ti suggerisco Asos e Yoox!!! Bellisismo il cappotto! Ma fammi capire tu hai il mare davanti casa?? ME ENCANTA EL ABRIGO Y LOS ZAPATOS. Nice coat, I love red color. Kisses. Lovely coat and wonderful dress! Beautiful outfit! Red is a very powerful color! Looks great on you!. I did a post some time ago on the meaning of colors! Check it out! that dress and the print are stunning on you! I love the red coat too!! gorgeous with the black and white! Guapisima! Me encantan los zapatos! Son preciosos! So elegant! I love your necklace! I'm following--love the coat, really nice on you. The dress is very pretty. Blac and white is in. thaks for visiting my blog. Red is such an amazing strong color & never out of style. I also have a red coat,but its more for spring (thin cotton fabric - winter must be wool!). The up to date color in fashion shops here is an orange-red. that red of your polish & coat looks smashing with your printed dress! Thank you. I think that your blog is great. I add to watched and on Twitter. I hope to do the same. I love the red jacket, it looks so warm and comfy.. Plus the fact that it's gorgeous ! Look splendido, ma in particolare le scarpe e il cappotto sono bellissimi! Thank you very much for your comment. I just - I hate the alarm clock! Wonderful look! spero mi seguirai pure te! Thanks for your comment.Love your coat. I'll follow u. That's such a gorgeous red coat! ciao davvero carinissima la custodia!!!! cmq se ti va seguiamoci a vicenda! Absolutely gorgeous!!!!! Love your coat and dress!!!! Oooohhh me parecen geniales tus botines, ¡me encantan! Me gusta mucho el outfit que has elegido para este post. Ah, I need to have those shoes cause they are awesome! hey darling, thanks for your lovely comment. I love your blog and off course we can follow each others blog. Lovely look and amazing accessoiries!!! Lovely, this colour spices up any outfit! of course i follow u, i have been reading yoru blog for the last hours and i am loving it! yes def loving this look!! hello, I follow you on blogovin, but If you want on google I could too. bellissima!!! mi piace tanto il tuo cappotto!! baciii!! in effetti il rosso è un colore difficile ma poi quando lo si indossa se ne rimane completamente carpiti. Io amo i complimenti rossi, lo smalto, il rossetto, una calza parigina o una pochettina etc. 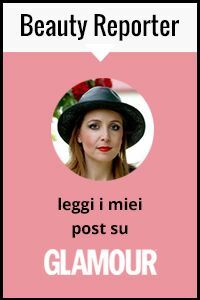 Bello il tuo blog e di buon gusto tu. This is such a cute outfit, love the dress! I show cute design of the dress which you wear. and thanks so much for your super sweet comment a while ago. it's a sweet MACARON and CHANEL giveaway! Tanto come il cappottino rosso che indossi in queste foto! Complimenti! I love your coat and your Iphone case. Il vestiti è bellissimo! Mi Piace molto il tuo blog, ti seguo! It's good to buy things in different colours especially when it is an item you love. And you should wear red more often as it looks great against your skin tone. Love your iphone case :) & I really like red coats, I think it brings some colors that we really need during winter! lovely red coat!!! but what I like best are your shoes! I love the jeffrey campbell! I want to buy me some! Thanks for the comment! And yes, I do follow you on bloglovin', but I'm not that good with the bloglovin' thingy, so i might do something wrong? And once again, I love your blog! You are fabulous, but you probably know that already! Lovely colour! Thank you for the comment by the way. anche io l'anno scorso ho preso un cappottino rosso, che adoro! ora sta arrivando il freddo...e finalmente potrò indossarlo di nuovo! se ti va passa sul mio blog e sulla mia pag facebook! Hiya! You're a Lita Lover too? Kudos girl! Love them. I wish I could have a pair. Thanks for your comment! This red coat is just beautiful. Il vestito è un amore! E grazie per essere passata dal mio! Absolutely love the way you style your dress with this amazing red deep jacket. Gorgeous and loving your phone cassette so cool. Nice blog ! Your red coat is very cute ! Sure I`m following you, I hope you follow me soon. I`ll be waiting for you. omg i love that jacket and the dress!! is lovely! What a great blog! Love your outfit choices. Thank you for the blog comment. Hope you will keep coming back! Eccomi qui!! Sono anche io tua follower da ora!! :) un bacione!! Hi, I have a great blog=)))I am following you, do you follow me I hope You.kisses. love your dress!!! it´s gorgeous!!!! I'm done :) your turn to follow me ;) lovely coat! I love your red jacket she's cute!! Your jacket is just amazing!!! am not the biggest fan of reds either, but that coat is gorgeous!!! looks great on you! p.s. thanks for lovely comment on my blog and for following! come back soon! Loving the JF Lita Shoes! love ur red coat and the dress. Very nice outfit! I love the assymetrical ruffles of the dress...and red looks beautiful on you! forse te l'ho già detto ma.. adoro questo cappotto rosso!!! grazie :) mi fa piacere che ti piaccia, davvero tanto! The red is so eyecatching! It's a great outfit! wow, coat, bag and shoes r just perfect! Love your blog! you do look great in red... and the coat is really pretty! hey, I love your red coat :) have red one too but it is quite difficult to wear because it is sleeveless. Lovely outfit, especially the red coat!!! ESPERO SEAN DE VUESTRO AGRADO EL POST POETIZADO DE HÁLITO DESAYUNO CON DIAMANTES TIFÓN PULP FICTION, ESTALLIDO MAMMA MIA, TOQUE DE CANELA ,STAR WARS, CARROS DE FUEGO, MEMORIAS DE AFRICA , CHAPLIN MONOCULO NOMBRE DE LA ROSA, ALBATROS GLADIATOR, ACEBO CUMBRES BORRASCOSAS, ENEMIGO A LAS PUERTAS, CACHORRO, FANTASMA DE LA OPERA, BLADE RUUNER ,CHOCOLATE Y CREPUSCULO 1 Y2. I love this look and I love Jeffrey Campbell! LOVE the red coat :) and your blog! Im so happy to follow! Red is such a gorgeous colour especially worn as a statement piece or to brighten up an otherwise cold day! You look amazing in this outfit, I especially love those shoes!!! lovely lovely lovely lovely shoes!!!!!! !